High-level talks have been held within Moray Council in an effort to save the region’s failing school system. Grave concerns about the quality of teaching have been highlighted by Education Scotland, which has been operating “enhanced monitoring” of the authority since April last year. Inspectors demanded action amid concerns about leadership at the authority while results for pupils lag behind the national average and, in some cases, buildings continue to crumble. The administration’s proposal to hire a consultant to spearhead fresh policies was voted down by 11 votes to 10, with two abstentions. And that raised the prospect of Education Scotland instigating a full authority inspection, which would look at every department. Now, forced to go back to the drawing board, the administration has held cross-party talks with other group leaders in an effort to find sustainable solutions. 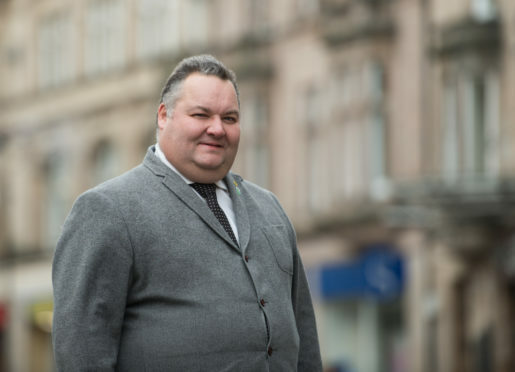 Moray Council leader Graham Leadbitter insisted that initial talks with opposition parties were positive and they were working hard on an alternative way forward. He said: “Work is ongoing this week as all groups try to find the right way going forward. “I think there have been some positive talks about what people will be able to support going forwards. They will continue over the next week. Former council leader and leader of the Councillors Open Group, George Alexander, was one of those who abstained from voting on the consultant plan. He wanted to know more about what alternative plans there were for helping the school system and is awaiting the results of further discussions. Mr Alexander, however, has yet to be convinced they will prove fruitful.